Yes, it's a subtle pen. 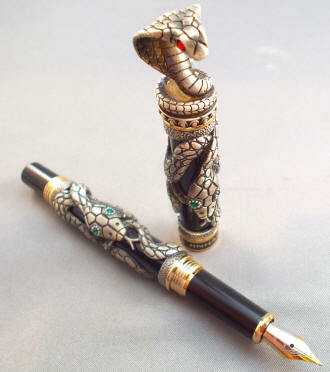 It's also a large one. 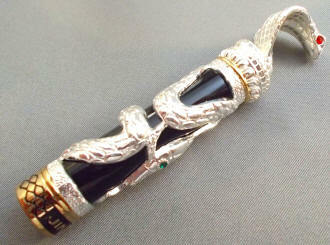 It measures 6-1/8" capped, a rather humongous 7-1/2" posted and a comfortable 4-3/4" with cap held aside. It's also a rather hefty pen -- especially capped or posted -- but you don't really have to worry about it distending your shirt pocket. 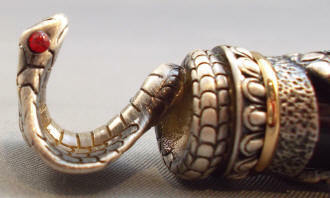 It doesn't have a clip! 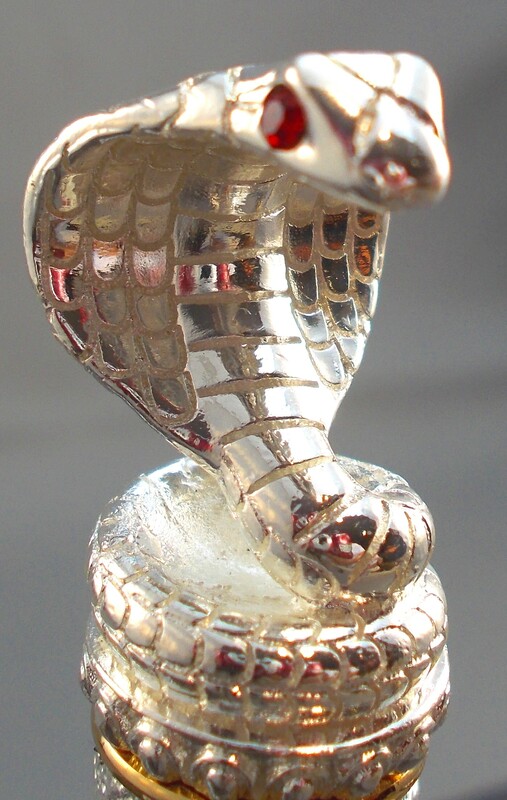 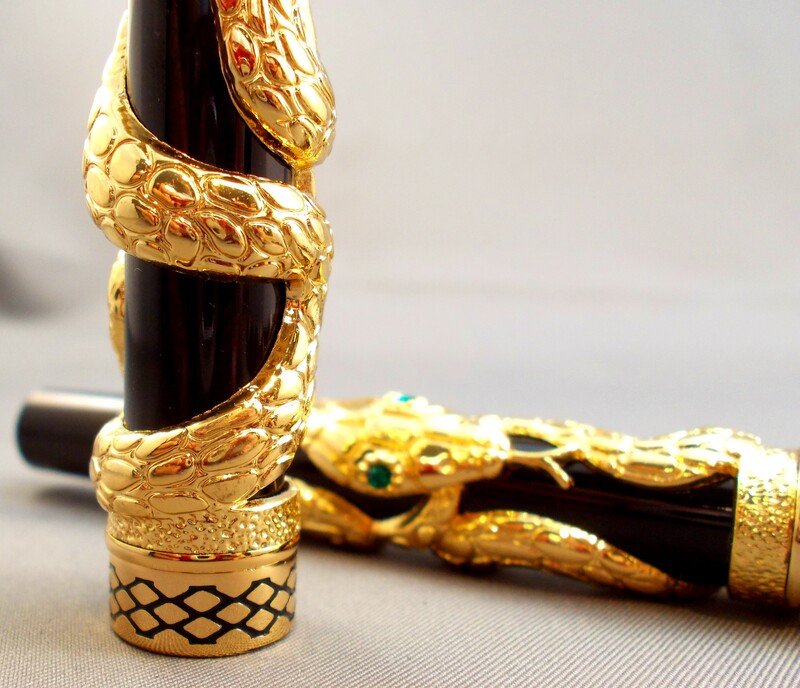 The Cobra is a pen designed to guard your desk from intruders, or if taken into the wilds outside, to be nestled in a nice pen pouch from Lai Yee. Personally, I use it as a scepter, to remind people of who's boss! 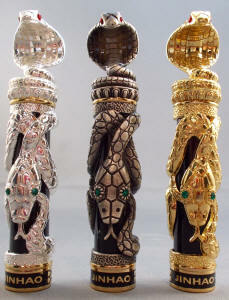 For it's posted length and heft, it's actually a fairly narrow pen, even with the coiled serpents on the barrel and cap. Unlike the red-eyed cobra on top of the cap, which puffed up and ready to strike, the two green-eyed snakes a bit more sedate and minding their own business. 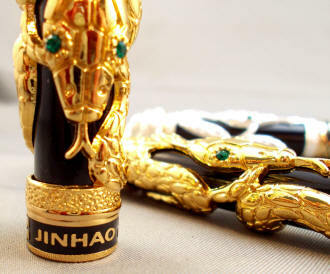 I can only imagine that the green eyes indicate that a gentle petting is allowed -- but I'm taking the fellow on top's word that red means stop. 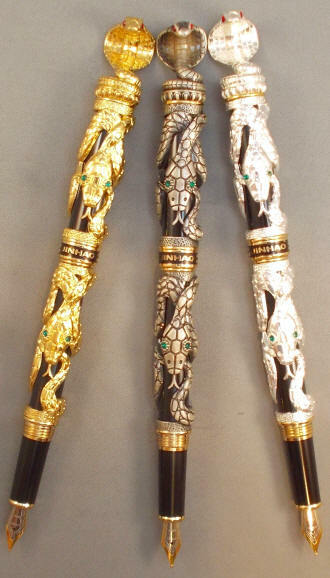 The three color versions really make these pens appear very distinct -- more so, some how, then color variations of other pen models. All three have gold-highlighted rings directly beneath the rampant Cobra on top, as well the cap band and lower barrel threads. 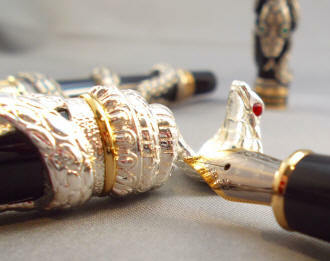 The cap screws onto both ends of the barrel, so should you choose to post the cap when writing, it's positioned securely. 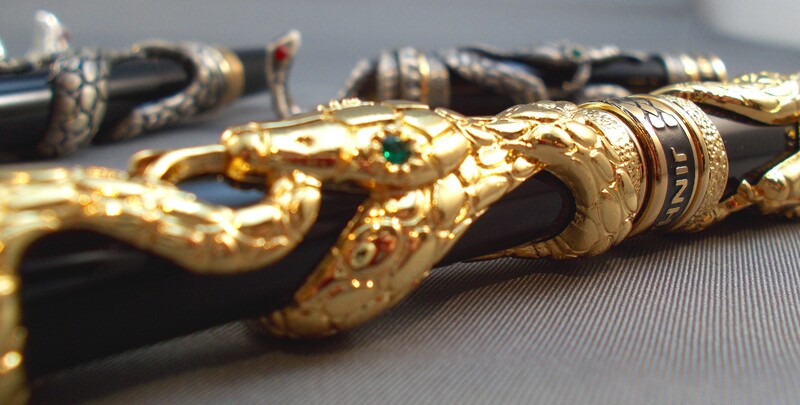 I can't attest to whether the eyes -- red or green -- are colored glass or actual rubies and emeralds (man-made gems this size are not expensive to produce, and I know that Jinhao uses real stones in other models), the effect is the same. 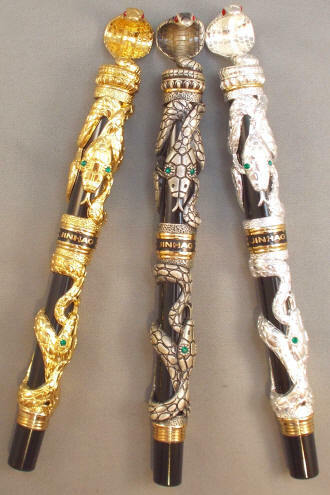 They really sparkle under direct light. 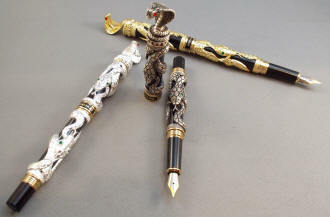 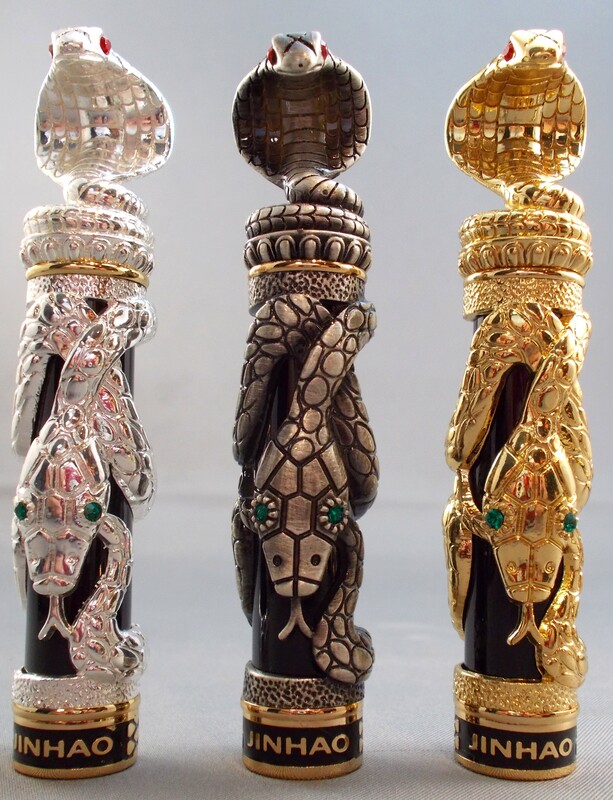 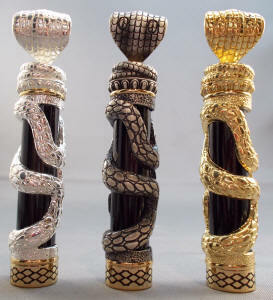 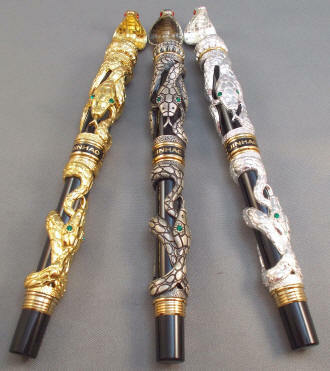 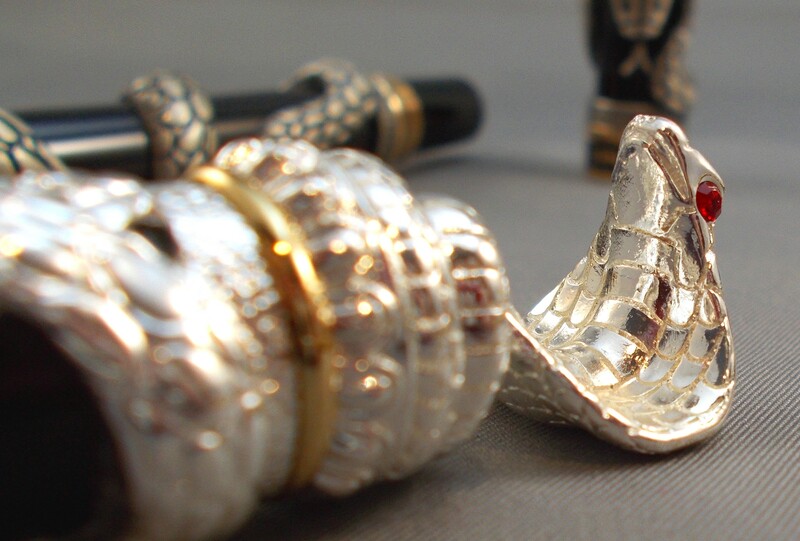 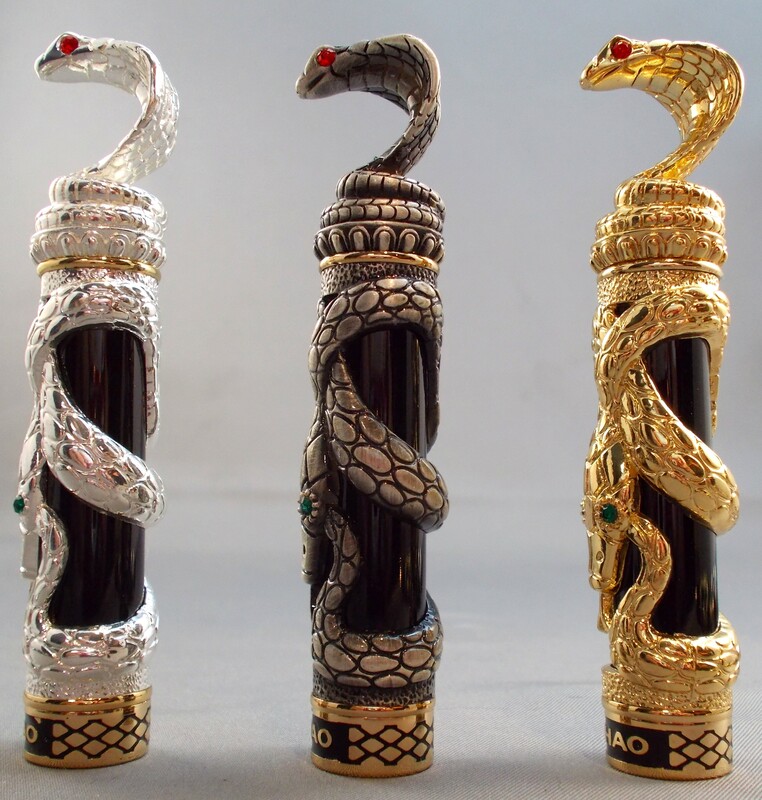 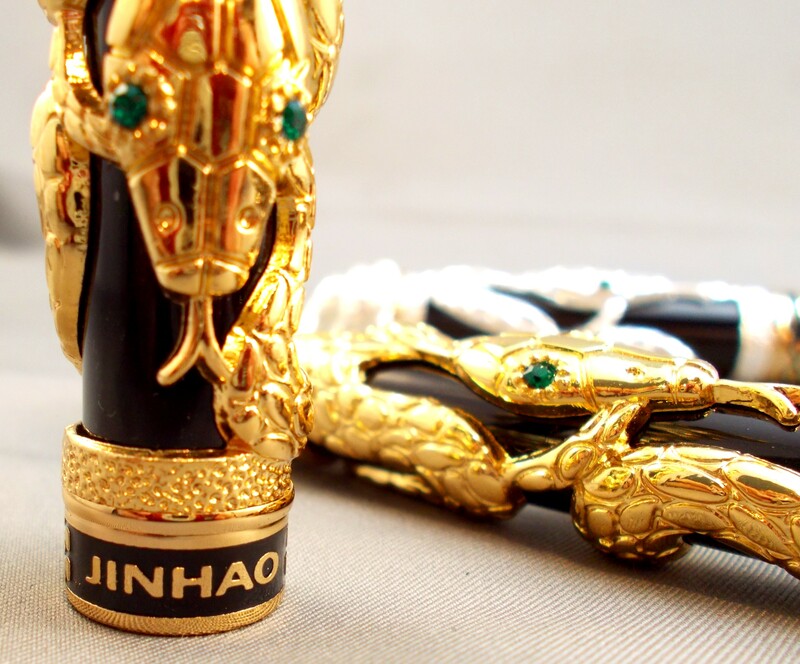 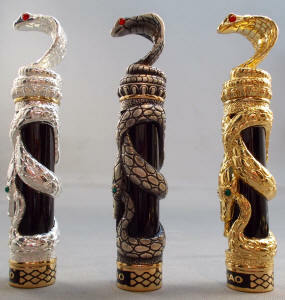 The cap band says Jinhao on the front and has an engraved and stylized snakeskin pattern on the rear. Unscrewing the cap reveals the section and two-toned, gold-plated steel nib. 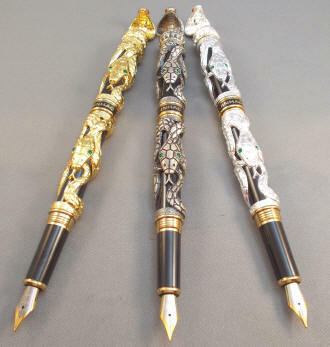 I'd rate the nib as a light-medium, falling between a typical western fine and medium. 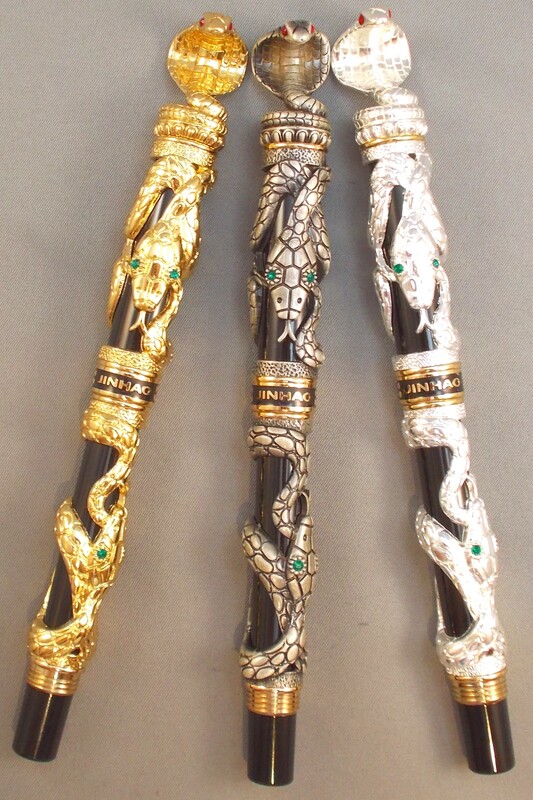 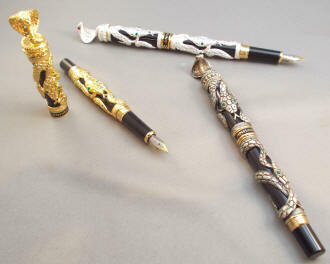 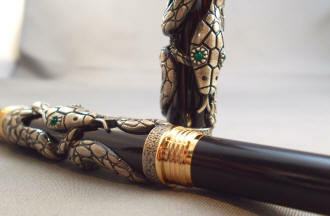 It's engraved with flourishes as well as Jinhao and 18K GP (gold plate). These caps are worth taking another look at from several angles!